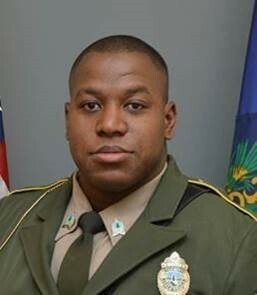 Two police officers shot and killed a despondent Sheldon man who held a gun to his head after a traffic stop on Interstate 89 in Bolton on Sunday — the latest in a rash of police shootings in Vermont. Benjamin Gregware, 42, walked toward the officers and refused their commands to drop his gun after he was pulled over around 4 p.m. Trooper Chris Brown and Richmond Police Officer Richard Greenough fired 12 shots, hitting Gregware three times, State Police Col. Matt Birmingham said during a press conference Monday. It was the third fatal Vermont State Police shooting in six months. Brown, who has been a trooper since 2012, fired his weapon in all three incidents. 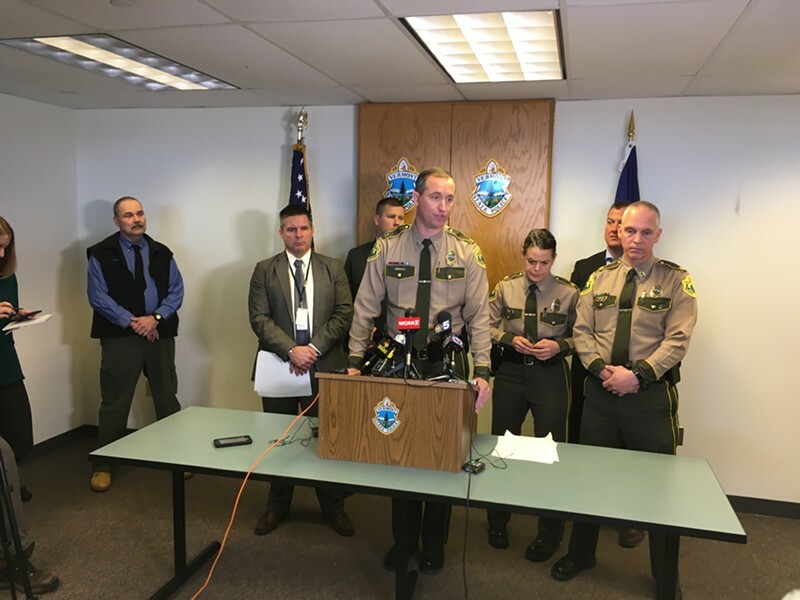 On January 16, Brown and nine other troopers opened fire on Nathan Giffin, 32, on the grounds of Montpelier High School, where Giffin fled after robbing the nearby Vermont State Employees Credit Union. Police said that Giffin made threats and brandished a handgun that turned out to be a BB gun. On September 1, Brown was one of five troopers in Poultney who shot and killed Michael Battles, who was also wielding a BB gun. In October 2015, Brown shot a Brattleboro man in the leg during a standoff in Fayston. The suspect in that case was holding a plastic air gun. Brown was cleared of wrongdoing in the Poultney and and Fayston shootings. 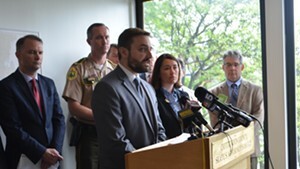 A legal review of the Montpelier shooting is ongoing. 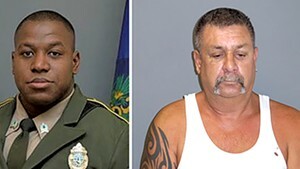 Two weeks ago, Brown was removed from the State Police Tactical Services Unit, which handled the Giffin response, Birmingham confirmed Monday. Birmingham declined to provide details, citing personnel privacy. While troopers typically return to work three days after a shooting, Brown will remain on paid administrative leave until legal reviews are completed, Birmingham said. Those reviews usually take months. Taking extended leave after a shooting will be new state police policy, Birmingham said. “I worry about Trooper Brown and the impact this is having on him … I’m worried about his mental health,” Birmingham said. Birmingham was contracting with a consultant to review policies and procedures for the use of lethal force, he said. "Certainly, there is great cause for concern when you have multiple officer-involved shootings in a short period of time," Birmingham said. 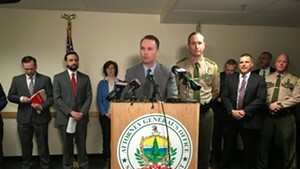 The Vermont Attorney General's Office and the Chittenden County State's Attorney's office will review the Gregware shooting. Gregware's ex-wife, Melissa, called police around 3 p.m. to say she was concerned about him. He had seemed intoxicated during a visit with their children, she said. He had recently been laid off, and at one point, he told her that he was going to "take care of some stuff," according to police. After leaving her house, he called her and said he had gone to the Walmart in St. Albans and bought ammunition. Police issued a "be on the lookout" warning regarding Gregware. Trooper Jay Riggen called Gregware's cellphone. Gregware said he was "not OK," and that he was "an alcoholic and he felt that he was losing his children," police said. He said he had a 9mm pistol with him. Gregware, who was driving on I-89, stayed on the phone with Riggen for 20 minutes. He said he was going to head south until he ran out of gas and then commit suicide, police said. "You can bring all the guns you want," he reportedly said. Brown and Greenough were driving on I-89 looking for Gregware. They caught up with him at 3:50 p.m. in Bolton, pulled him over and drew their weapons. Brown had an AR-14 rifle and Greenough had a .40-caliber pistol. Gregware stepped out of his vehicle, pointed his gun to his head and approached the officers. He ignored multiple commands to put his gun down, state police said. Gregware never pointed the gun at police. Brown fired seven rounds and Greenough fired five. Gregware was hit in the head, shoulder and torso, state police Major Glenn Hall said. Police acknowledged any stray shots could have endangered passing motorists, but said there was no time to close the road. The shooting occurred about a minute after Gregware pulled over, Birmingham said. 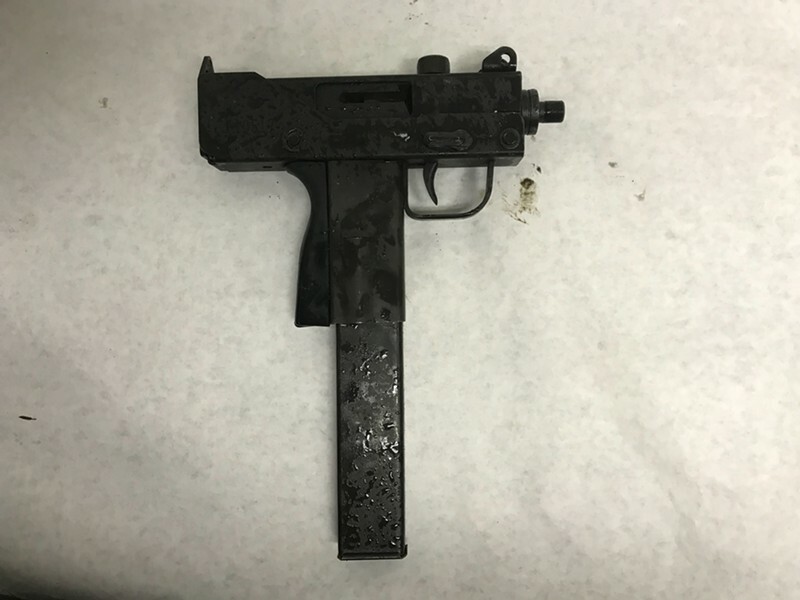 Gregware's weapon, a 9mm tactical pistol, was found loaded with a round in the chamber. Cruiser and body cameras recorded footage of the incident, and police said they would release it once legal reviews are complete. Hall said authorities are investigating whether Gregware fired a shot toward the parked police cruisers. 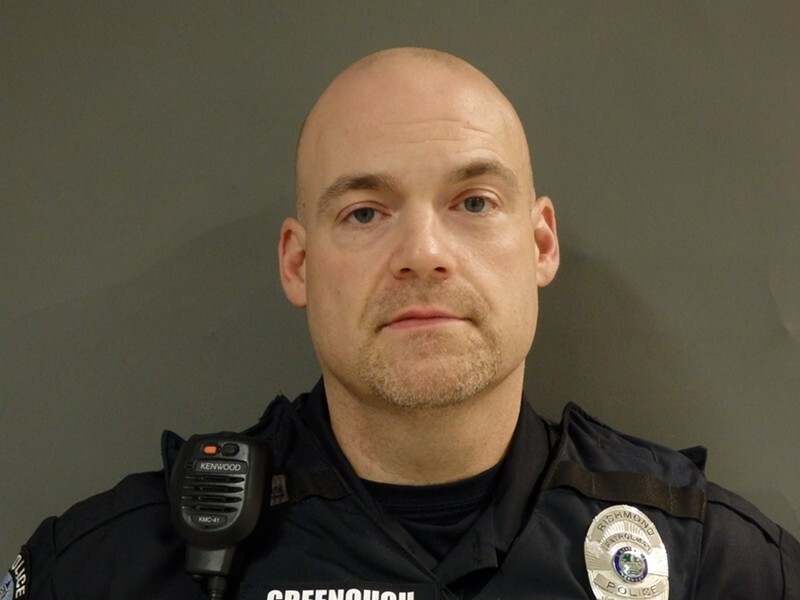 Greenough will be on leave for at least six days, Richmond Police Chief Alan Buck said. The fatal shooting was the first ever by a Richmond police officer.